Maureen Wise and Mike Steinmaus, coordinators of the Huff Run Watershed Restoration Project and the Monday Creek Restoration Project, respectively, traveled last week to a national conference in Albuquerque, New Mexico. To get the full report, turn on your speakers (or plug in your headphones) and click the “play” button on the left sidebar. Or, you can click here to get a transcript of a report from Maureen Wise. Rural Action staff member Shana Byrd and her husband, Mike Lewis, were married last fall in the Hocking Hills. 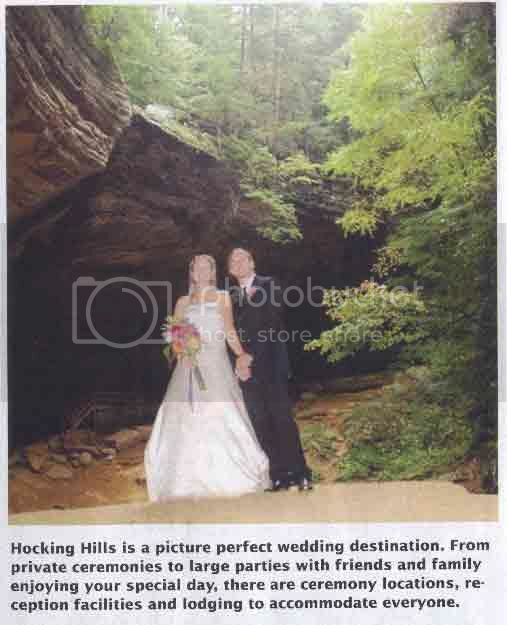 Now, they’re models in the latest issue of The Southeast Ohio Hocking Hills Visitors Guide. Yes, they are giving out autographs.